Gwynedd was the first ‘Port’ class locomotive to be supplied by the Hunslet Engine Co. of Leeds in 1883 to Penrhyn Quarries in North Wales, along with her sister engine Lillian. The locomotive was named Gwynedd after the Hon Gwynedd Douglas Pennant, a daughter of George Sholto Gordon Douglas Pennant, 2nd Baron Penrhyn – of the family that owned Penrhyn Quarry. Although the locomotive was intended for shunting duties at Port Penrhyn, she actually spent most of her working life in the quarry levels, where she remained at work until withdrawn in 1954 and laid up in the Coed Y Parc coach shed. She was purchased for preservation by John Hutchings in 1965 but evidently he did not take possession of the loco. Twelve months later Gwynedd was re-purchased by Alan Bloom of Bressingham, where she arrived in 1966. 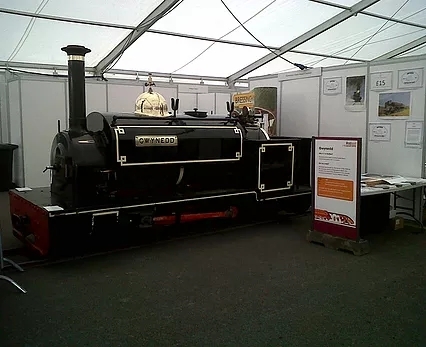 After over 40 years of service on our 2ft gauge Nursery Railway Gwynedd was taken out of traffic in 2007 – her firebox had become dangerously thin – it was condemned by our boiler inspector and she was retired. But Bressingham’s volunteers thought such a venerable and iconic loco should have life again. So action was taken to return her to steam. 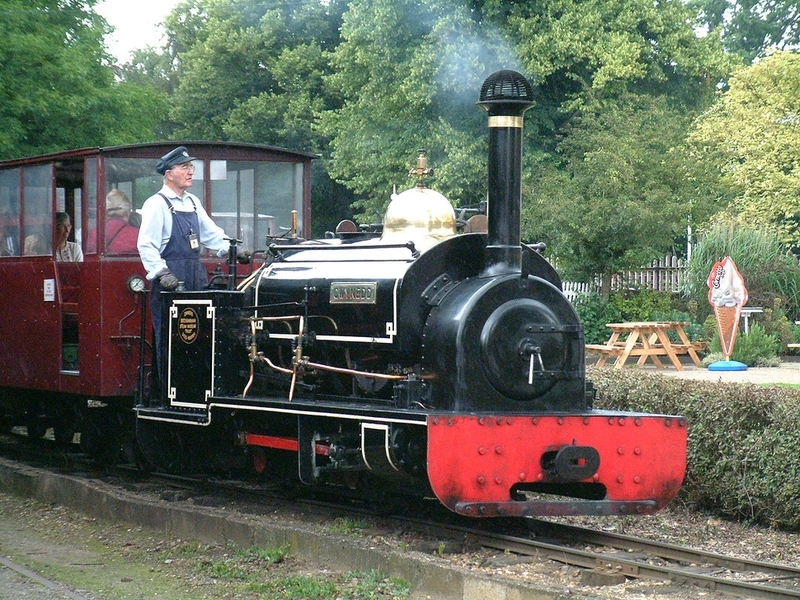 Bressingham volunteer Robert Ellis formed the Gwynedd Restoration Group in 2010 to raise funds and manpower for a return to steam. Restored to full working order Gwynedd will be (along with Cornwall based Lillian) the oldest operational quarry Hunslet in existence. 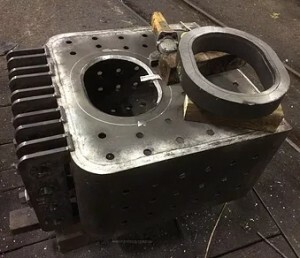 Her overhaul made steady progress. 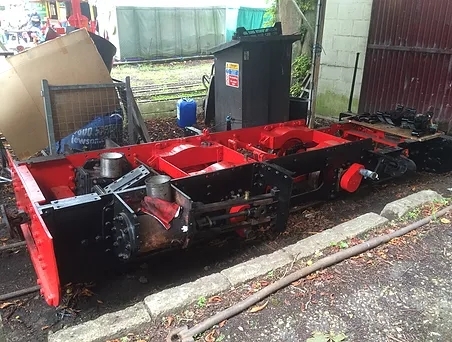 A partnership of Bressingham and Penrhyn Quarry Railway volunteers were together been working on the engine since Spring 2014. The restoration was a collaborative project that will see Gwynedd visiting Felin Fawr (the Penrhyn Quarry preservation site) on a regular basis, the aim being to keep her to as near Penrhyn condition as possible. The loco had a large amount of work undertaken on her disassembly during the winter of 2014/15. 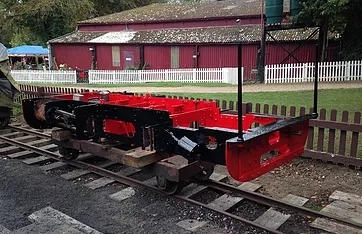 The frames and most of the motion were cleaned, needle gunned and repainted, mainly by volunteers who work jointly for the Penrhyn Railway. Newly painted frames, after having been laboriously scraped and needle gunned. 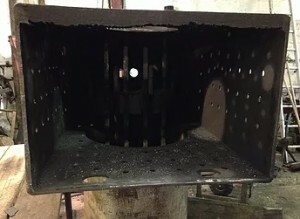 The boiler had its inner firebox, tubes and tube plate removed; the outer wrapper had the stays removed and the holes re-ground. Also the foundation ring was removed and re-ground. Most of this time consuming, fiddly and dirty work was undertaken by John Riley, a stalwart Bressingham volunteer. An external contractor manufactured the new firebox. 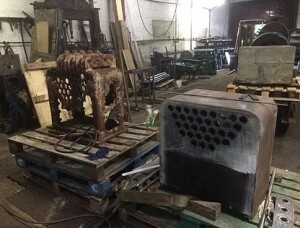 Old and new fireboxes side by side in Bressingham’s workshop. A setback occurred when the wheels were being reprofiled. One of the tyres shattered on the lathe whilst with another contractor. This necessitated the purchase of new tyres and a 20 week wait for them to be manufactured. In February 2015 they were fitted to the wheels and profiled. Summer of 2015 saw the wheels back under the frames and a new firebox fitted. Gwynedd’s frames, with the newly tyred wheels back in place. Robert (GRG chairman) would like to offer a big thank you to everyone that has contributed. Robert is a long term volunteer at Bressingham. In addition to having many years experience as a driver and being a previous chairman of the Bressingham Steam Society, he is now a trustee of Bressingham Steam Museum. He sees Bressingham’s future success being based on its heritage values, capitalising on its diverse steam collection. This ultimately tells the story of steam technology, its contribution to the Industrial Revolution and the development of the modern world. He believes this can be achieved through more joint projects between preservation centres and their volunteers. 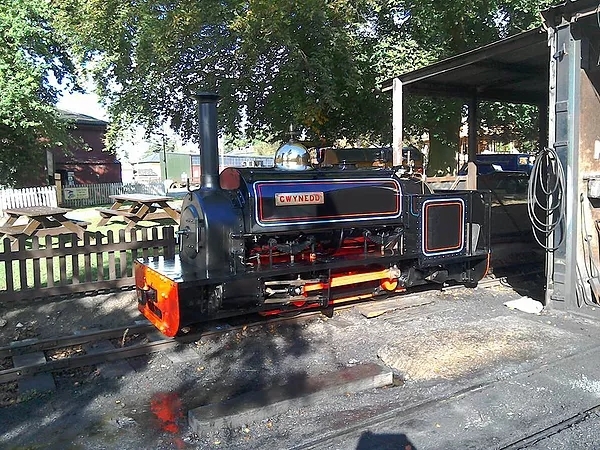 Gwynedd’s overhaul is now nearly complete – she has passed her steam test and was running in on the Nursery railway during a few dates for the remainder of October 2016. For the first time in her preservation history she is now painted in her original Penrhyn quarry livery. Her use will remain controlled and managed by members of the Gwynedd Restoration Group, who will begin to oversee her longer term operation and commitments from next season. An official press launch is planned for the May Day Bank Holiday during 2017’s steam gala. This entry was posted in Gwynedd on 2nd June 2014 by Tim Bridge.